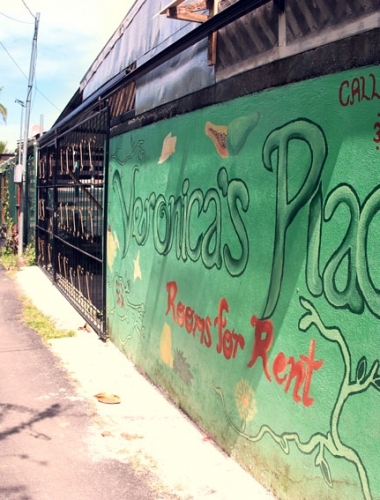 Started by Veronica Gordon and Delroy Lewis in 2001, Veronica´s Place has become a must-visit in Puerto Viejo. Although it has grown in popularity, it is still family owned and operated. Most days you will meet me, Veronica´s daughter, Shantala Lewis and/or my husband Fermin Alarcon. And a lucky few will even meet Veronica herself. We are loving Christians that value family, health, culture. As new managers, my husband and I are still dedicated to giving each of our guests a memorable stay. 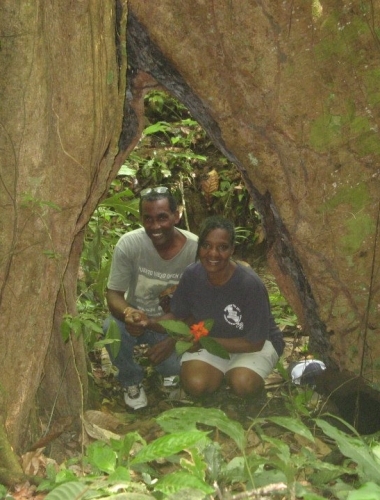 At Veronica´s Place, we strive to give each person an authentic Afro-Caribbean experience. Our desire is to provide an unforgettable time in Puerto Viejo. Fermin and I will do our best to make sure you enjoy the Caribbean Coast. Veronica learned about natural healing and the importance of taking care of mind, body, and soul to find the balance between the three of them. Her grandparents and parents were naturalists, which means that they always worked with plants and herbs. They passed on their knowledge to Veronica, and she and her husband continue to pass on their home remedies to their children and other people who want to change their lifestyle in a healthy way. Veronica and Delroy continue to put God first and serve their community. 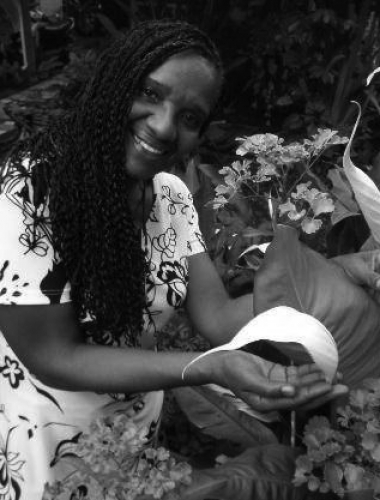 Veronica still enjoys sharing her passion for healthy living and cooking with and for others. While Delroy still enjoys sharing his knowledge of nature and the jungle. Due to our faith, we do not do check in on Saturdays, as it is our Sabbath and meditation. A guest may not arrive and check in on Saturday. Thank you for your understanding and we look forward to seeing you soon! From bus stop walk 100m inland, make a left and head down the main street (with the ocean on your left) toward El Diamante Supermarket. Once you are at Diamante go 50m further, and then take a right on a small paved road. Pass Joe´s Snack Point, go one and a half blocks. You will see Veronica´s Cabinas on your left.